Weight loss is almost always the primary goal and the most critical measurement of every bariatric surgery – including the one and only gastric sleeve surgery. Gastric sleeve surgery (VSG) uses restriction as the sole method of weight loss. Surgeons remove 80-85% of the stomach, leaving behind a very small banana-shaped sleeve. A recent study by Fischer et al., analyzed data from 123 gastrectomy studies involving 12,129 patients. 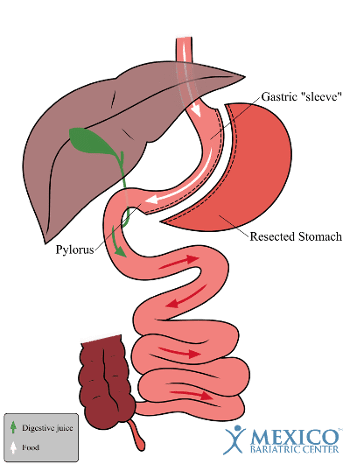 The percentage of excess weight loss (%EWL) in patients with gastric sleeve was on average 59% at 1 year, 54.5% at 2 years, and 66% at 3 years after surgery (Fischer et al., 2012). Since 2012, the effectiveness and success rate have significantly increased. From our patients, the amount of expected weight patients lose with gastric sleeve procedure varies between 42% and 78% of excess weight loss. Also in this study, this 78% average weight loss value was achieved by the best surgeon. Alternatively, the worst surgeon’s average was close to 42% weight loss after one year. At Mexico Bariatric Center, we have seen an average of 65% or higher of excess weight loss one year after gastric sleeve surgery. How Much Weight Will I Lose With Gastric Sleeve Surgery? The amount of weight you will lose with gastric sleeve depends on a number of factors. These factors include nutrition, exercise, lifestyle and total commitment to changing old habits. 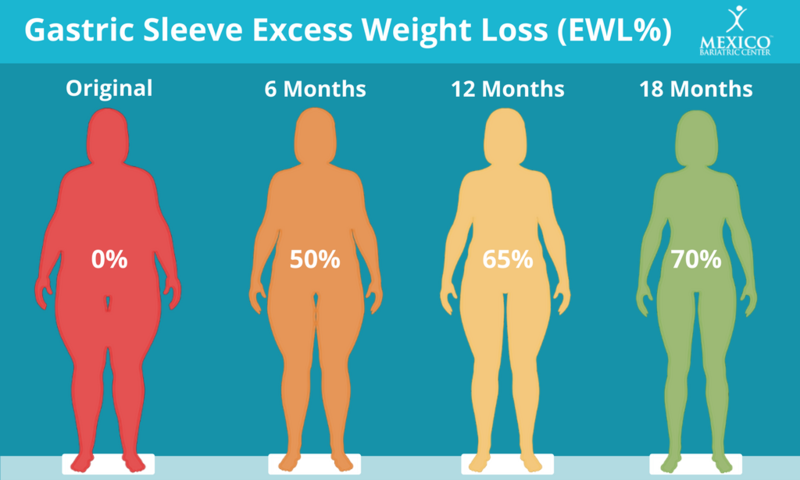 The size your surgeon makes with your new sleeve can affect total weight loss. Suppose you’re doing everything right. You’ve changed your diet and created new healthy habits. Practice regularly. On average, people lose 65% of their excess weight with a gastric sleeve surgery in Tijuana, Mexico. This includes people who followed their post-op guidelines and people who did not follow it. If you follow the guidelines, change the bad habits, replace them with new healthy habits, and you can expect to lose more on average of 65% of excess body weight. The average weight loss of the gastric sleeve surgery depends on height, weight, and BMI. It is impossible to tell patients an exact number, as everybody is different. An individual who is taller and weighs more will likely lose more weight than the someone shorter and smaller. Although, both patients can expect to lose a similar percentage of their excess weight. You will need some numbers to start calculating the expected weight loss. Follow steps 1 to 4 and you should have the expected weight loss calculated in a few minutes. 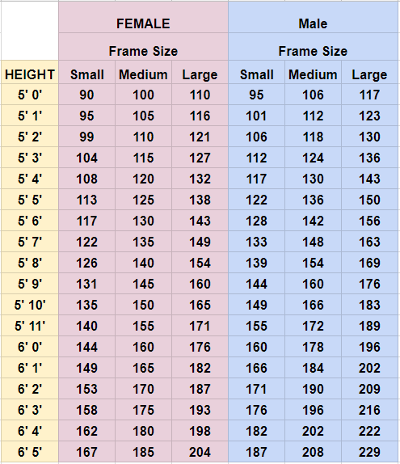 There are some common ways to calculate the ideal weight. This calculator shows your ideal weight for all the different methods for determining that number. I usually use as much as usually a large number of body mass indexes. Regardless of the weight loss operation you choose, you can expect a certain amount of weight to lose with gastric sleeve surgery or any other bariatric operation. This calculator will tell you how much weight you can expect to lose from every bariatric procedure and what you can expect to weigh two years after surgery. Calculations are based on the average weight loss per procedure. To lose weight, you will need to follow the preoperative and postoperative guidelines of your surgeon. Long-term dietary and exercise changes along with other changes in habits can result in a weight loss that exceeds the average values used in these calculations. Keep in mind that 65% is on average. There are people who lose less and others who lose much more. Finally, the success of gastric sleeve surgery in Tijuana, Mexico has just set the right expectations, decides to change its habits and abide by those decisions. If your number looks lower than expected, do not be angry. People are surprised that they can not expect to go from 250 kilograms to 120 kilograms of surgery alone. Patients need to understand that weight loss surgery such as gastric sleeve is not a magic bullet. Instead, the operation is a tool that will help you manage something more easily. When weight falls, it becomes easier to exercise, stay longer, enjoy life and continue to focus on losing weight with your new sleeved stomach. If you want to see what 20% of patients are expected to lose, use this calculator. The hardest part loses the first 50 kilograms of weight. When you begin to notice the results, this will motivate you to lose more, eat healthier, boast about your friends and show your amazing progress. What Can You Expect Realistically? In surgical interventions, the outcome always depends on many factors. These factors can be patient-specific factors, surgery type, and surgeon’s skill. The amount and weight you lose with gastric sleeve procedure are influenced by the skill of both the technicality of the surgeon and the patient’s ability to maintain healthy eating habits and exercise. Although our chronology of average weight loss was supposed to give an idea. It’s just average weight loss. Your actual amount of weight that you can lose with gastric sleeve surgery can be more or less than that. In the end, it was up to you and how difficult and difficult you are. Are you following the postoperative diet? Did you regularly practice your routine? Many variables contribute to your planned weight loss; Many will depend on the problems you can control. Am I Losing Enough Weight? What if you do not seem to lose enough weight after your stomach? It is possible that many problems are involved here, but it is important to adhere to the advice of your surgeon and dietician. Remember, everyone is different and will have mixed results. Gastric sleeve in Mexico is a very effective way for Americans, Canadians, etc. to get quality driven, safe bariatric surgery for an affordable price. We provide bariatric surgery, including gastric sleeve in Mexico at one of the lowest price, while having the top-quality, board-certified surgeons with over 10,000 bariatric surgeries combined. Healthcare in Mexico, also known as medical tourism is a great option. Contact Mexico Bariatric Center today.